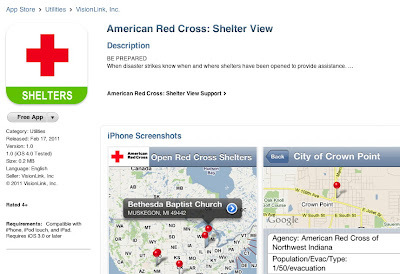 a) If you have an iPhone, iPod or iPad, go to the App Store and search for "Shelter View." The application is free; it maps information about open shelters, and provides information about location, capacity and more very useful to those near the disaster area. 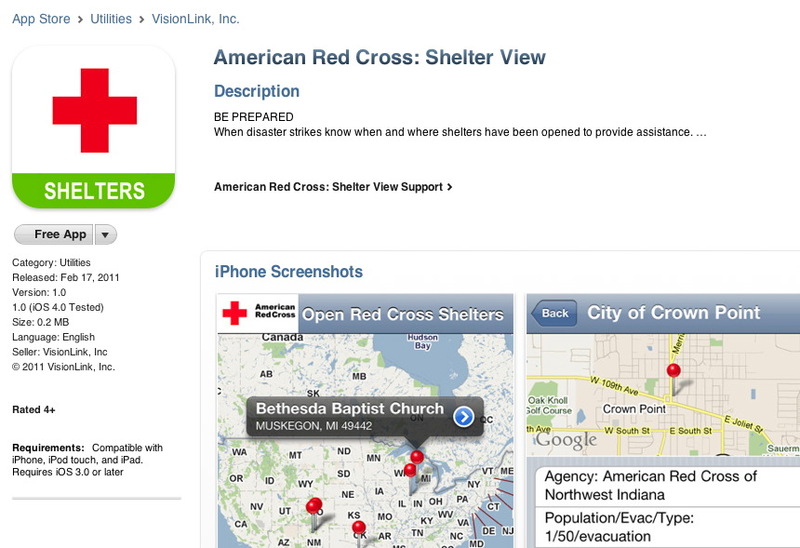 b) Take your web browser to http://www.redcross.org/nss and you can see most of the same information about shelters, capacity, driving directions and more from the National Shelter System, also deployed on VisionLink's CommunityOS platform. If you have an iPhone, iPod or iPad, this is the one App we hope you will never need. It is, however, a great easy way to keep up to date with small and large disasters across the United States every day.